I was already at sleep when the pic from the ferry was posted at midnight and I bet both the travellers were ready for bed when they finally came home long after midnight. All the photos are phone pics and I like to use those before they are forgotten. No one in my Family seems to have a system for saving those 🙂 The journaling is not finished because I want to have a chat with grandma before I add the layout to the print file. 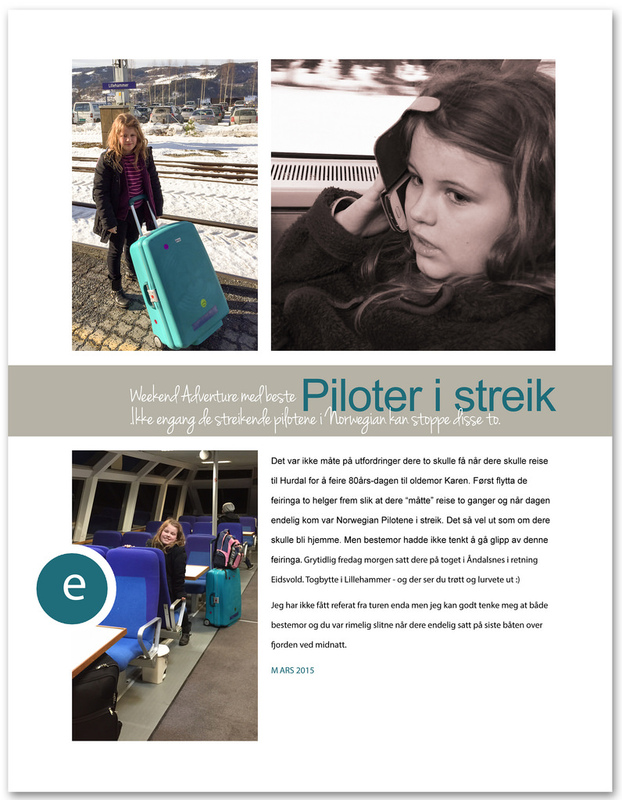 The pilots in Norwegian are still at strike. They do not have my sympathy. They use their right to strike far too often. This entry was posted in Scrapbooking and tagged Cathy Zielske`s template, digital scrapooking. Bookmark the permalink.